As of Sunday March, 17th 2019, the Bonnie Springs Ranch property has been sold and the attraction is now permanently closed. Just outside the dazzling Las Vegas strip, sits a small, decrepit town, isolated by the vast Nevada desert. 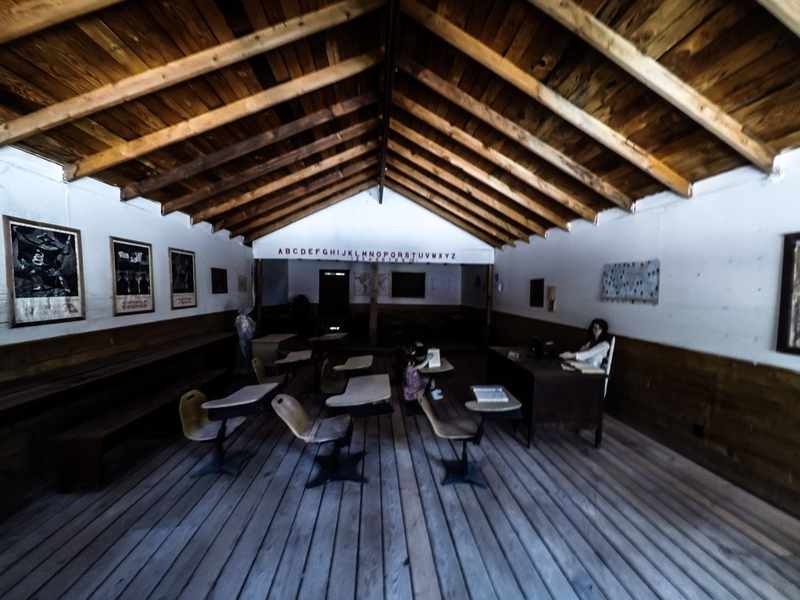 Themed to look like something right out of an old Western, Bonnie Springs Ranch is a unique tourist attraction combining an artificial Ghost Town, zoo, live entertainment, wax museum, miniature train, lodging and a bar. 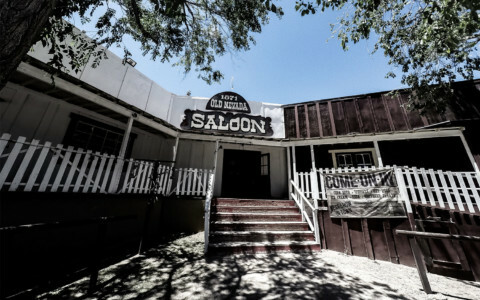 Its unique history and creepy demeanor have led to the popular belief that Bonnie Springs Ranch is one of the most haunted places in Nevada. 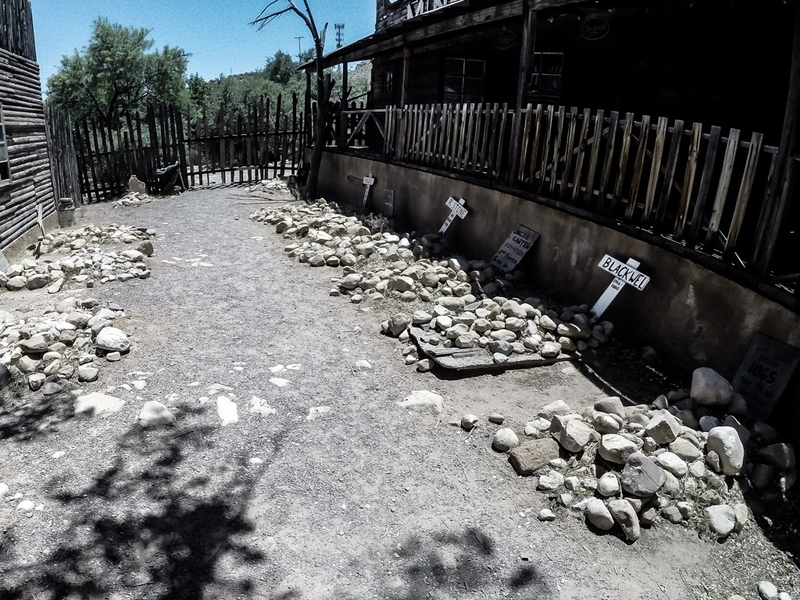 Cemetery within the haunted Bonnie Springs Ranch in Nevada. The land on which Bonnie Springs Ranch currently sits upon has had a long and important history. It was once the place where the Paiute People made home, before becoming a stopover for travelers making their way to California on the Old Spanish Trail. Display inside one of the many buildings at Nevada’s Bonnie Springs Ranch attraction. The Ranch didn’t begin to take shape until 1952 when Bonnie McGaugh purchased the land. Since then the property has been slowly transformed into what it is today. Over the next couple of years, some additional buildings were added and by 1958 Bonnie Springs Ranch was opened to the public. Construction was continuous and in the 1970s, saw the addition of ‘Old Nevada.’ The ranch’s very own 1880s replica mining town. Other additions such as the zoo and motel were to follow. The haunted school house in Bonnie Springs Ranch. 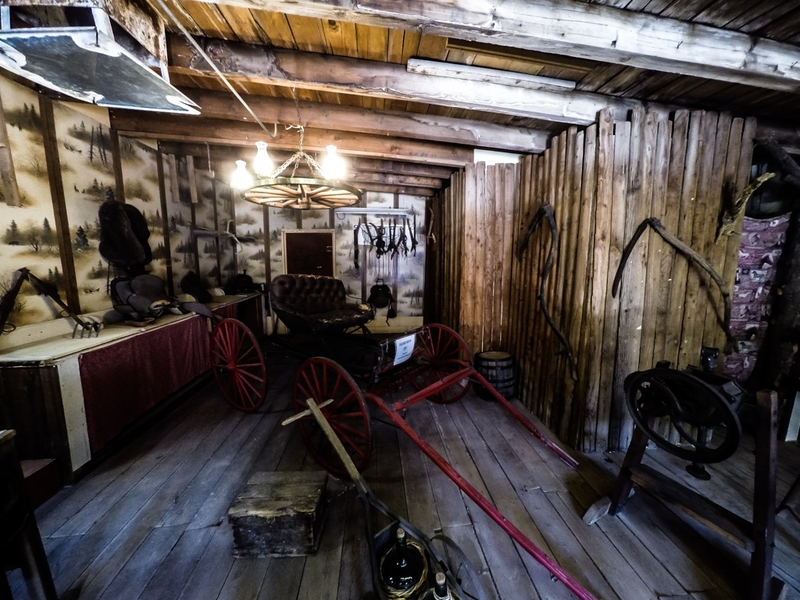 Bonnie Springs Ranch is an alluring attraction which creates the illusion of stepping back into old Western times. While not an authentic ghost town, the ranch has an aesthetic which comes seriously close and may be why so many supposed spirits have decided to take up residence within its buildings. 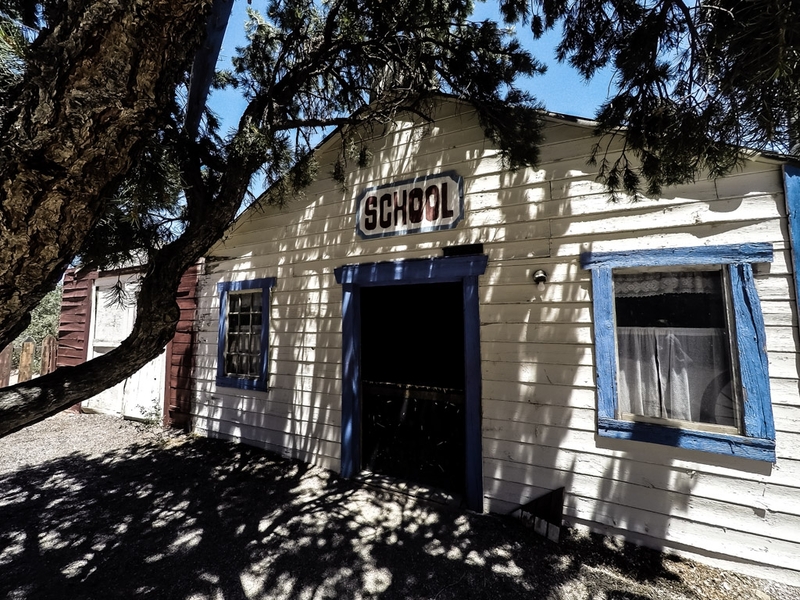 Inside Bonnie Springs Ranch’s haunted school house. One of Bonnie Spring Ranch’s most commonly sighted ghosts is that of a little girl. Her apparition is mostly sighted playing in and around the town’s replica school house before suddenly disappearing. The nearby merry-go-round has also been known to turn on its own. With no wind or explanation as to why it may spin by itself, many believe it could be the spirit of the little girl playing on the ride. 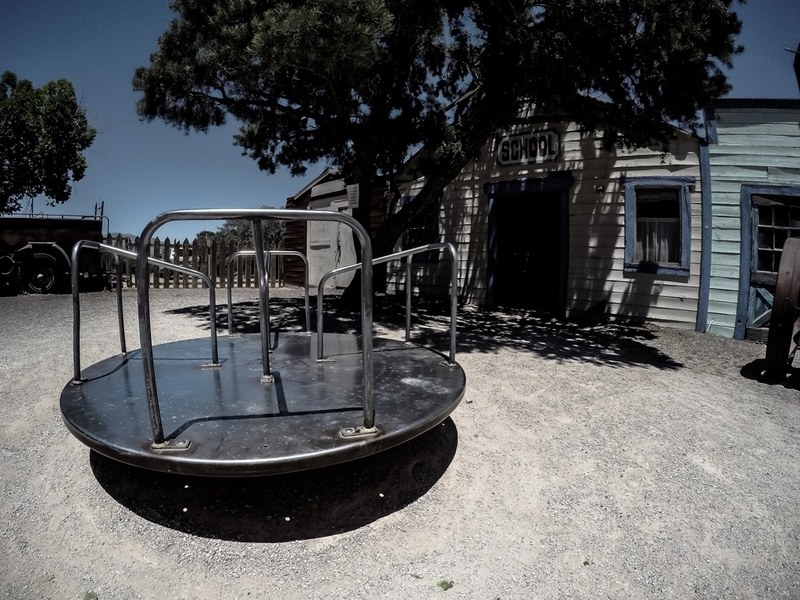 Merry-go-round in front of Bonnie Springs Ranch haunted School House. Said to move on its own accord. 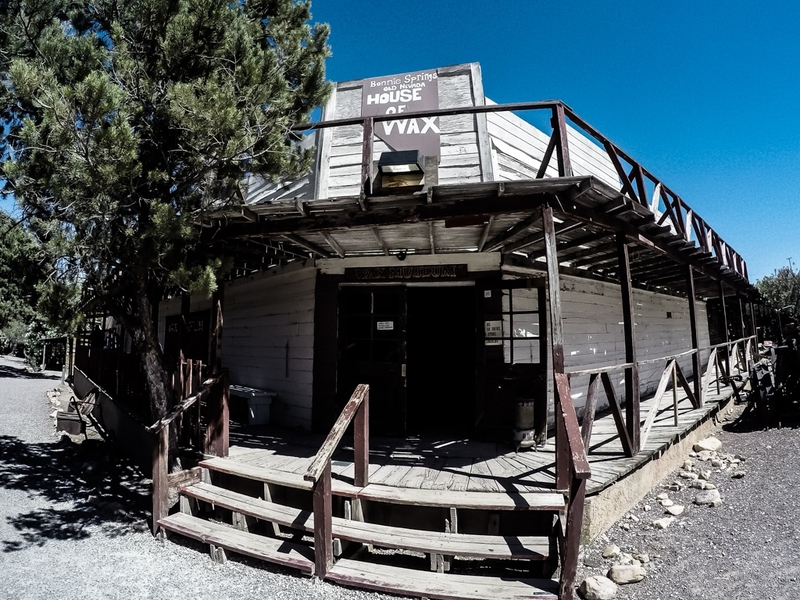 Another active area of Bonnie Springs Ranch for paranormal activity is the wax figure museum. This small tunnel-like, maze leads guests through a creepy, defunct history display, which literally comes to life for some. Many have claimed to witness these wax figurines move on their own accord and appear as though they are inhaling breath. The park’s management even had to allegedly nail the displays down as they were moving out of position so frequently. Inside the creepy wax figure museum at Bonnie Springs Ranch. Thought to be one of the most haunted places within the park. 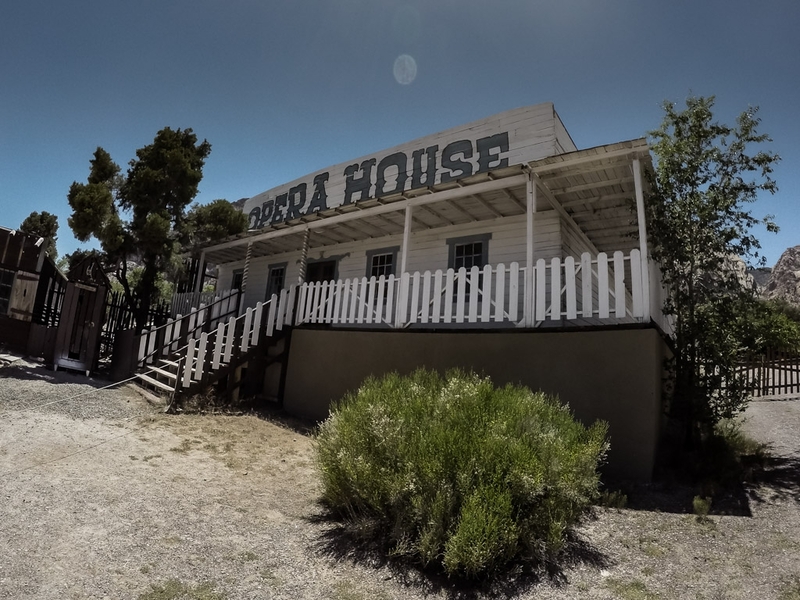 The final and most sinister of Bonnie Springs Ranch’s hauntings exists within the Opera House. It is here that a darker more menacing presence exists. It takes the form of a dark shadow figure that follows people through the area and has even been captured in photographs. disturbing EVP’s have also been caught in this area. Bonnie Spring’s Ranch’s extremely haunted Opera House. 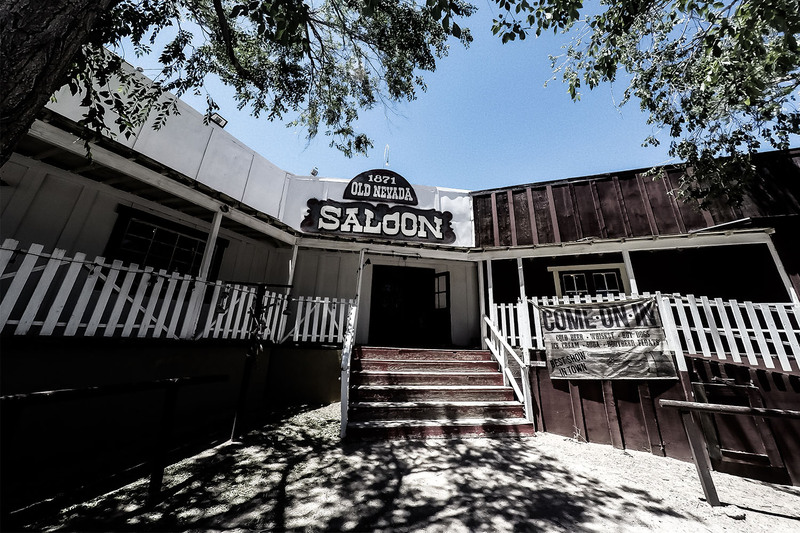 A visit to the haunted Bonnie Springs Ranch is a great day trip outside of Las Vegas. It really is a family friendly attraction that adults will likely also enjoy. Grab a drink at the bar and make sure to catch the daily hanging show. You’ll find the Bonnie Springs Ranch located at 16395 Bonnie Springs Road, Las Vegas, NV. 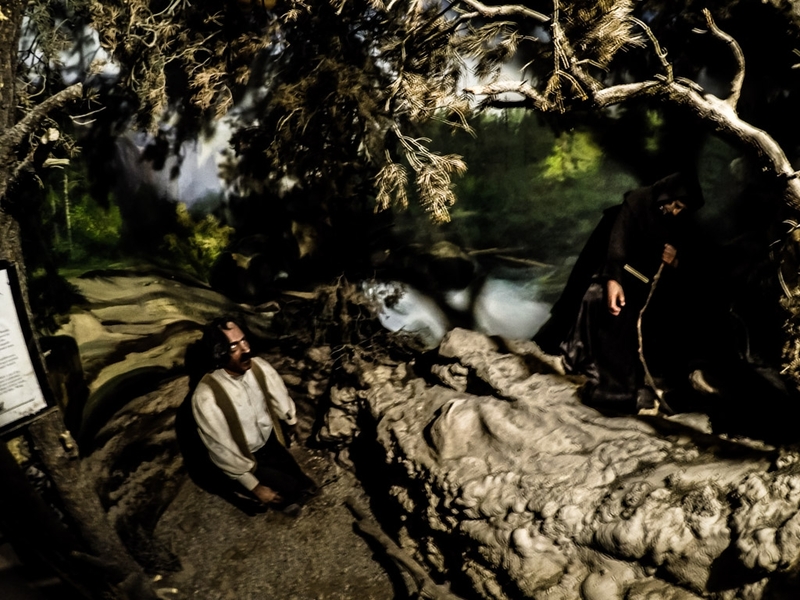 The haunted wax museum inside of Bonnie Springs Ranch. 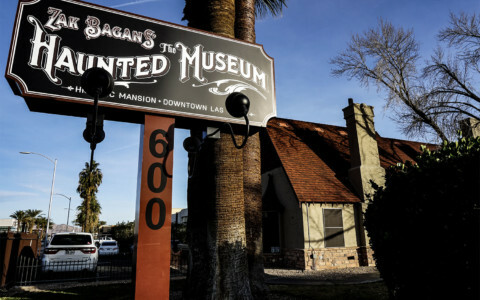 Looking for other spooky places to visit in Las Vegas? Check out its 10 most haunted places! If you are looking for other haunted ghost town though, I highly recommend checking out Bodie.